At Hamilton Glass Products we supply and fit secondary, double and triple glazed units, made to fit existing frames. 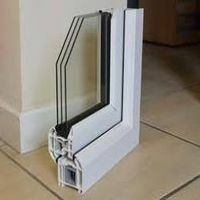 We produce replacement double and triple glazed units in-house, these can be made up with silver, brown, black or white spacer bars, can include argon gas and Georgian bars if required and can be made up with toughened, laminated, patterned texture, k low energy, or any other kind of glass that we stock. 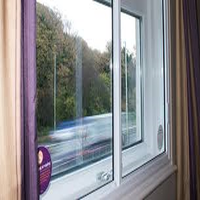 Please note that our secondary glazed units are sourced externally, but fitted by us. All other units are either produced in house or sourced externally, depending on make up and business demands. Double and triple Glazing are typically the choice for replacement units these days, although on the rare occasion we have been asked to install secondary glazing as well. Secondary glazing, simply put, is a layer of glazing (of any makeup), that is designed to fit inside of existing glazing, be that single or double glazed. Whilst secondary glazing does provide some level of insulation, the main reason it is sometimes preferred, is due tot he fact that it helps to cancel out noise. For this reason alone, it is a very popular choice for flats and old style buildings situated within busy cities, such as London. Double glazing is pretty much the standard choice for replacement these days and is almost always installed in new builds, many older properties are either undergoing, or have undergone the change from single to double glazing. Double Glazing is a versatile product, in that it is suited for all properties due to the variety of style and design. Unit thickness will typically vary between 14mm up to around 32mm, this is usually based on the glass itself having a thickness of between 4mm (standard window glass) to 6.4mm (laminated) and then between 6mm to 20mm spacer bars. However, different makeups and their intended use can extend well beyond these sizes. 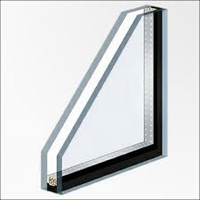 Due to the space between the two panes of glass, which is typically filled with either air or insulating gas (such as Argon), this creates a pocket which blocks the flow of air and results in better insulation and energy efficiency, as opposed to normal single glazed windows. Triple glazing is similar to double glazing, the only difference being is that the unit is formed of 2 panes of glass instead of 3 and as this results in two insulating spaces, the level of insulation and energy saving is increased. Technically speaking, the sound insulation increases as well, but this really depends on the type of glass used.